Generic drugs are copies of branded pharmaceutical products priced at a much lower level. While branded statin medications are sold under trademarked names, generic versions are typically sold under the name of the active ingredient in the product. Generic versions of branded statins are approved by the United States Food and Drug Administration (FDA) for safety and efficacy just like branded drugs. At this time, the widely prescribed statins simvastatin and atorvastatin (aka Zocor and Lipitor) are available in generic form, while rosuvastatin (Crestor) should become available in 2016 following the expiration of its patent in May 2016. Generic drugs are required by the FDA to have the same active ingredient, the same labeled strength, the same dosage form, and the same administration as the branded pharmaceutical product. Generic manufacturers test their products to demonstrate that the generic drugs are “bioequivalent” to the branded product, which means the active ingredient must work in the same way and in the same amount of time as the branded product. Companies that manufacture and sell generic products in the United States must also comply with the FDA’s strict requirements regarding manufacturing practices. The FDA monitors manufacturing facilities of both branded and generic pharmaceuticals to make sure the drugs produced are safe and effective. Generics account for about three quarters of US prescriptions, but brand name drugs account for about three quarters of spending. State laws govern whether pharmacies can substitute genetics for brand name drugs. What are the Benefits of Generic Statin Drugs? 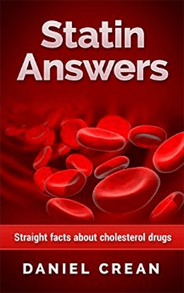 A generic statin generally costs less than the equivalent branded drug for several reasons. A branded drug is supplied by only one manufacturer, while the generic versions of that drug may be supplied by many manufacturers. Competition between the generic manufacturers that sell the same product leads to lower prices. Generic drug companies are able to sell their products at lower prices because they do not advertise their products to doctors or patients like many branded companies. Instead, generic companies rely on state laws which allow pharmacies to substitute the generic version of the product for the branded version, unless the doctor or patient objects to the substitution. In addition, the generic company can rely on verification tests conducted by the branding company to show that the active ingredient and its strength are safe and effective, thus lowering regulatory approval costs for the generic company. Public health thinkers and authorities are almost universal in their enthusiasm for generics. The generics are expected to be a bigger part of healthcare in the future. However. there is widespread feeling that the adoption of statin drugs has not happened as fast as it should have. For instance, a recent check of a popular online pharmacy showed Zocor was substantially more expensive than simvastatin. This is over five years after Merck's patent for simvastatin expired. (For the 10 mg dosage, $1.29/pill vs. $0.77/pill.) A Consumer Reports article said that Medicare could save billions of dollars by switching to generic statins. In 2013 some stores started selling generic Lipitor (atorvastatin) for zero cost. This is a marketing strategy known as using the drug as a "loss leader". Industry observers are looking at this move as it might disrupt insurance benefit plans. When are Generic Drugs Available? Generic drugs may only be approved by the FDA once the patents on the branded product have expired, unless the generic manufacturers can show that its product and manufacturing process does not violate the patents held by the branded company. Patents are usually valid for 20 years from their issuance. Most branded companies, however, will seek patents on their products before the product is approved by the FDA and able to be sold in the United States. As a result, the amount of time before a generic version of any particular branded product is available varies based upon the product. If the generic manufacturer wants to sell its product before the patents on the branded product have expired, it must show that its version of the product and its manufacturing method do not violate the patents held by the branded company or that the patents of the branded company are not enforceable. If the generic company is successful in challenging the patents, it receives a period of exclusivity of 180 days. During those 180 days, the FDA cannot approve any other generic version of that product. Authorized generics are the branded product sold without the trademarked name. Authorized generics may be sold by the branded company through a subsidiary or by a third party with a contractual relationship with the branded company. Authorized generics are the exact same product, manufactured by the same company as the branded product, so they do not require a separate approval from the FDA. The 180-day exclusivity period does not apply to authorized generics. Drawbacks to using Generic Statins? Generic drugs are bioequivalent to the branded product, but they are not necessarily identical. The FDA’s standard for bioequivalence states that the generic drug company must demonstrate that there is no “significant difference” between the generic product and the branded product in terms of the way the product works in the body. While some patients may claim or believe that there is a difference between branded and generic versions of the same drug, when clinical study participants are not aware of this distinction, the two versions perform equally across studies. Further, although generic drugs contain the same active ingredient as the branded product, the inactive ingredients may be different. As a result, they may look slightly different. Generic drugs may be a different color, different flavor, or have a different shape than their branded equivalent. The big maker of generic atorvastatin is Ranbaxy Laboratories. In May 2013 Ranbaxy pleaded guilty to selling adulterated drugs with intent to defraud. The company also misled government investigators. Ranbaxy has had trouble with regulators in the past, perhaps contributing to doubts about generic drug quality. Although there is no good evidence to believe otherwise, the feeling that generic drugs are not as good or effective as their brand name counterparts persists. The advertising and marketing efforts of the pharmaceutical industry yield results even after the drug patents expire. A survey of doctors found 75% get most of their information about pharmaceuticals from drug company sales people. This is unfortunate and may be a barrier to greater use of statins, which overall are beneficial drugs to patients at risk for heart disease. The rate of patient compliance will always be too low, but use of low-cost generics may help people stay on their regimens.